COTRI forecasts that 2018 will see a total of 160 million Chinese arrivals worldwide. 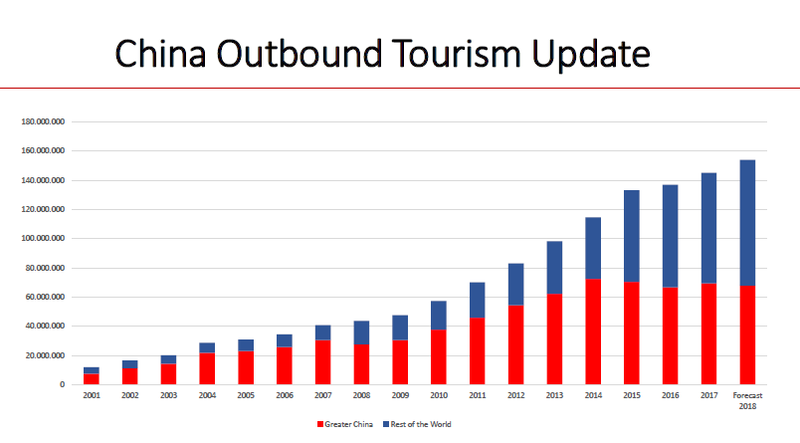 By 2030, 390 million outbound trips will originate in Mainland China, 250 million more than 2017. 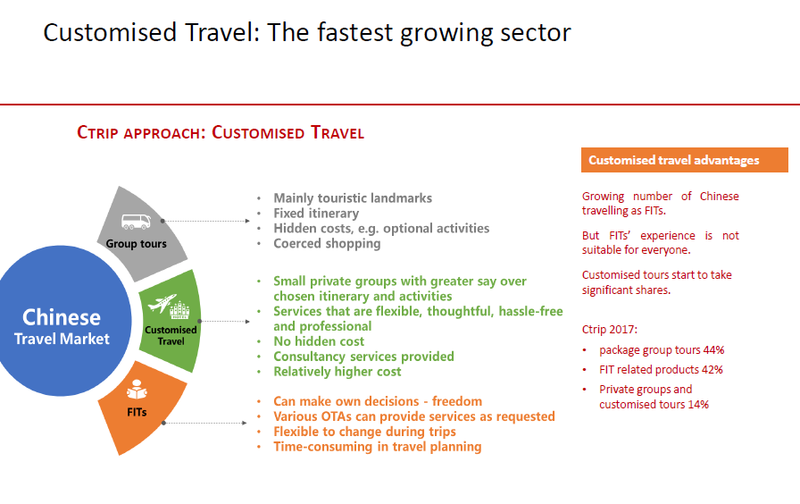 A joint COTRI and Ctrip report outlined the growing importance of ‘customised’ modular travel as a third pillar of Chinese outbound tourism, that will soon grow to make up a third of the entire market alongside group and independent travel modes, which will make up the remainder, each with a share of 33%. According to COTRI Analytics, in the first three quarters of 2018 (January-September) a total of 123 million border crossings from Mainland China took place, representing an increase of 14% YoY. More than half of the trips went beyond Greater China (Hong Kong, Macau, Taiwan). 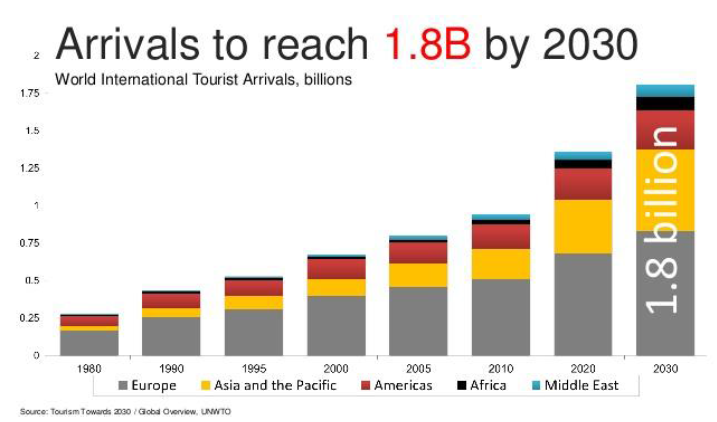 The UNWTO graph illustrates the strong growth of international tourism, with a forecast of reaching 1.8 billion border-crossing trips by 2030, adding 500 million to the 1.32 billion of 2017. COTRI forecasts that 2018 will see a total of 160 million Chinese arrivals worldwide. By 2030, 390 million outbound trips will originate in Mainland China, 250 million more than 2017 -meaning that HALF of the additional outbound travellers in next decade will be CHINESE. Today no more than 10% of Chinese citizens possess passports, and almost all live in 1st and 2nd tier cities. More and more secondary school-aged students are also taking part in educational summer camps and exchange semesters. Change of Chinese governments global policy–Soft Power through tourism and new international organizations–BRICS, Belt and Road Initiative, Shanghai Cooperation Organization. With the growing importance of Chinese independent travellers (FITs) and Chinese Modular Outbound Travellers (MOTs), quality and value for money take the place of quantity and cheap price. Chinese FITs and MOTs are tiring of travelling overseas and meeting mostly fellow countrymen in a destination, of engaging just in shopping and sightseeing. They become more and more interested in new, authentic offers based on local culture and nature if provided and communicated in the right way and through the right channels as Customized Travel. 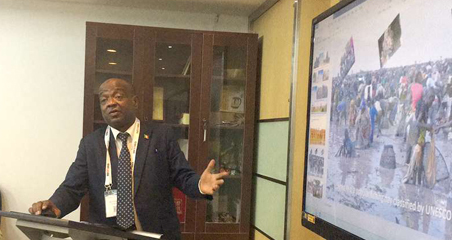 A total of 27 destinations offer visa-free entry for Chinese citizens, and 39 destinations offer visa on arrival or E-Visa for Chinese citizens. In 2017 more than 100 new air connections were started, with more in the pipeline for 2018, mostly connecting second tier airports in China and abroad. 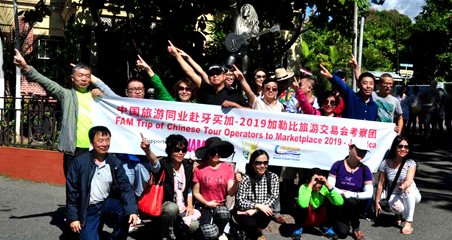 Most global destinations have intensified their provision of information to both Chinese outbound tour operators and to potential FIT visitors, using fairs like the new ITB China or Social Media in the form of WeChat channels entries, online trainings, and increasingly videos. IT and AI provide increasingly sophisticated tools to receive customized information before and during the trip. Accepting mobile payment has developed from an extra service to a necessity. •Chinese holidaymakers’ growing demand for customized tour is unique and leading on a global scale. •The business of Customized travel to Europe increased significantly: it made up 10% of the whole outbound Customized travel market; demand increased by 130%. •Over six million Chinese citizens visited Europe in 2017. •The number is estimated to exceed 12 million if Chinese travelers’ visits to other European countries in same trip are included. 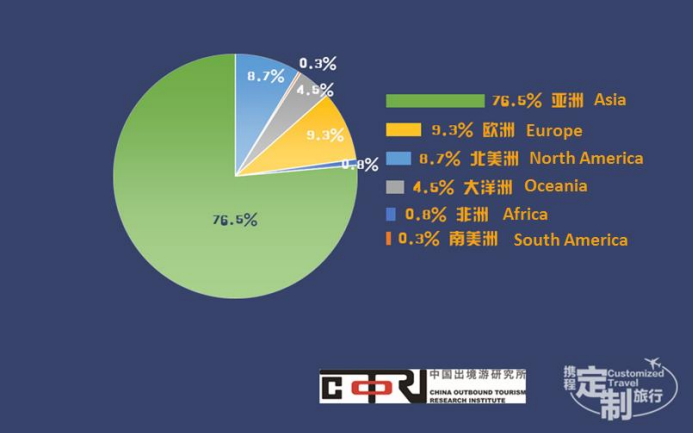 •Europe received 9.3% of the total Chinese outbound travellers. •53% of all Chinese travellers visited Europe in 2017 were female. •48% were between 30 and 49 years of age. •First-tier cities are still home to more than half of all customized travellers, but second and third-tier cities are catching up fast.